Salim Moizuddin Abdul Ali was an Indian ornithologist and naturalist and also Known as the "birdman of India". He was born on November 12, 1896, in a big Muslim family of Khetwadi in Mumbai. He had five brothers and four sisters. His mother’s name was Jijat-un-nissa. His father Moizuddin died when he was just one year old & mother died when he was three year old. His uncle Amiruddin Taiyabji aroused in him a curiosity towards bird. After the death of his parents, uncle Amiruddin and Aunt Begum Hamida raised all the children. It was a time when interest in birds was minimal. Birds were sold freely in Mumbai’s markets. For one rupee you could get eight to twelve birds many a time. Ali would bring such a variety of birds, keep them in cane baskets, teach them a little and then release them. He would never confine any bird for long or keep a pet forever. He would catch a bird, study it and after noting down its traits, release it. At the age of eight he was admitted to a local school. In a short time he got admission to the St Xavier’s School. At the age of 14 years, owing to poor health he had to go and live with his brother and sister-in-law in Hyderabad (Sindh, Pakistan). There too along with the office peon he would look out for bird nests and study the birds and their eggs. In 1913, at the age of 17 years, he passed the matriculation examination of Mumbai University. By this time he had read books on hunting. Wild animals and jungles and gathered some interesting information. Such readings and introspection led Ali to a linking for wildlife. He would catch birds and make a comparative study. Then life suddenly took a turn. A letter from a relative in Myanmar (Burma) arrived. It mentioned that if Ali was not interested in studies he could come and join the newly set up mining industry in Myanmar. Salim was finding mathematics a difficult subject, so he at once agreed to leave for Myanmar. Through he was never interested in business; he was very keen to know the wildlife in the jungles there. Here, he met a forest officer J.C. Hoywood. Ali learnt a lot about Myanmar’s birds form Hoywood. He gathered a lot of knowledge about birds and the scientific study of birds (Ornithology). Not inclined towards business, he had to return to Mumbai. Here he came in contact with father Blater, head of the biology department of St Xavier’s College. With his encouragement, Ali completed his graduation with animal science as his subject. In his 22nd year, in December 1918, Ali married Tehmina, who was well-versed in English and Urdu and had a visa for England. Tehmina encouraged her husband in his study of birds. Salim Ali had no post-graduate degree in bird science or biology, but in five to seven years after marriage he had gathered a lot of information and gained insight into bird science, biology and animal science. In the meantime, he got a job in a friend’s export unit. Some time later, Father Blater came to his rescue. He got him a job as guide lecturer at Mumbai’s natural History Society Museum. After joining here he realized that if he wanted to become an authority on birds he had to make their systematic study. No such course on bird science was offered in any institute anywhere in the country. So, he decided to go to Berlin for such a study. There he started the study of birds with Bernhard, a young bird scientist. In Berlin, Ali studied with dedication and single-mindedness. 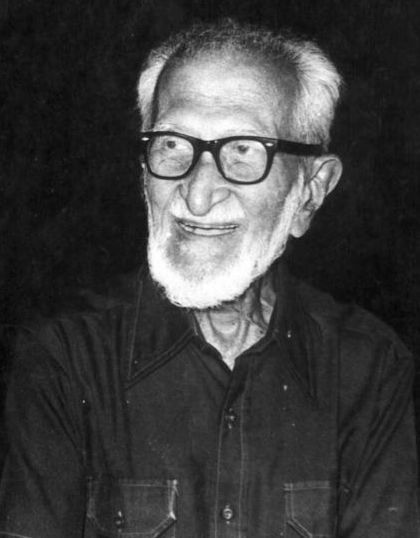 In 1930, he returned from Berlin and started work in Nizam’s Hyderabad. He also received some grant for this. He studied bird science and also made a survey of birds. His study of bird habits earned him praise. Here he got a good opportunity to study the birds of Nilgiri. Between 1934 and 1939, Ali studied bird science in Dehradun. Now, he came to be recognized among the world’s well-known bird scientists (ornithologists). 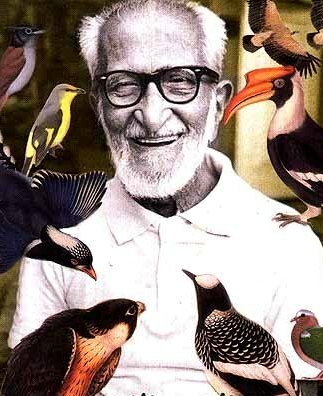 In 1945, he made a scientific study of the birds of Kailas and Mansarovar. He has mentioned the details in his autobiography – The Fall of a Sparrow. In the deserts of Kachchh, he undertook a study, which he brought out in a volume titled Birds of Kachchh. For the study of birds he also undertook a motorcycle tour of Europe. His diary reveals many such instances. Now, he was an internationally known ornithologist. His work came to be appreciated in the country and abroad. He received honour and awards. In 1953, he was awarded the Asiatic Society Medal and in 1984, the Asiatic Society of Bangladesh as an appreciation of his work awarded him the Gold medal. In 1958, the Aligarh muslim University; in 173, the Delhi University and in 1978, the Andhara University honoured him with Doctor of Science degrees. The Government of India honoured him with Padma Bhushan in 1958 and the Padma Vibhushan in 1976. Besides, in 1982, the Government of India honoured him by giving him the national research professorship in bird science. 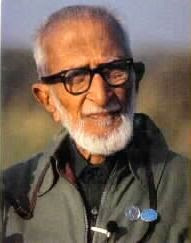 He was lauded for his efforts to protect wildlife and was awarded the National Award (gold medal) in 1983. The same year America’s National wildlife federation honoured him with the International Award. On June 20, 1987, this great ornithologist left this word.